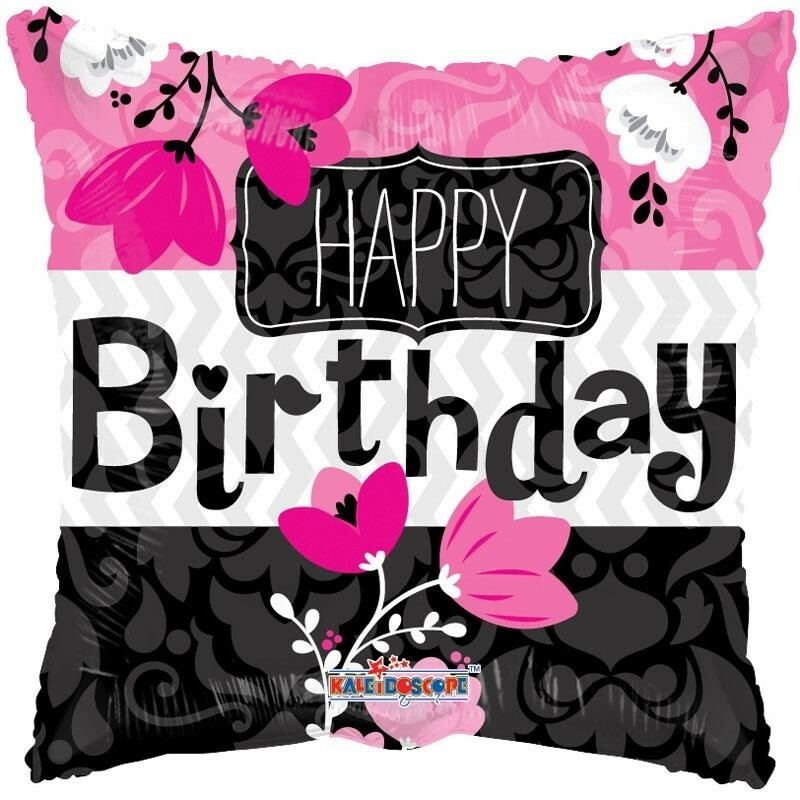 A square pillow shaped foil balloon in pink, black and white with flowers and the words 'Happy Birthday' on. Ideal gift or decoration on its own or group with others latex or foil balloons to create beautiful balloon bouquets. A helium fill balloon that can also be air filled and suspended. PLEASE NOTE THAT BALLOON COMES UNINFLATED.